The myth of a perfect family can lead to disappointment, frustration and anger. There is no perfect family. But many teenagers struggle with expectations and authority from their parents. 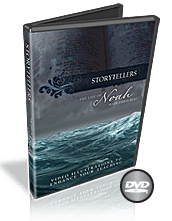 In these four video sessions, Mark Matlock will give practical and Biblical instruction to teens to help repair and build healthy relationship with their parents. This is a great video based Bible study for youth ministry. Real-life interviews with teenagers from across the country. Discover better ways for understanding, communication and forgiveness between teens and parents. Mark Matlock speaks to thousands of students nationally and internationally each year through his PlanetWisdom student conferences. 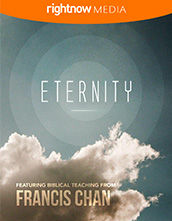 He has authored several books including Smart Faith and What Does God Want From Me? Mark can be heard regularly on Christian radio with the nationally-syndicated WisdomWorks Radio segments. Mark resides in Texas with his wife, Jade and their two children. A 4-part video based Bible Study for youth groups on making wise choices in a chaotic culture. Mark Matlock has been working with youth pastors, students, and parents for more than two decades. He works as the executive director for Youth Specialties (YS), providing leadership for programs and training events, and also oversees the student ministries at YS, including the PlanetWisdom student conferences. Mark speaks to hundreds of thousands of students, parents, and youth workers around the world each year. He has written several books for teens, including the Wisdom On… series, Living a Life That Matters, and Don't Buy the Lie and three books for parents: Real World Parents, Raising Wise Children, and Ideas for Parents. Mark lives in Texas with his wife, Jade, and their children. 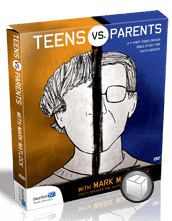 Supplemental handouts to go along with Teens vs. Parents with Mark Matlock youth series.